THE Chief Executive Officer of Eswatini Tourism Authority (ETA) Linda Nxumalo has extended their appreciation to government for support. 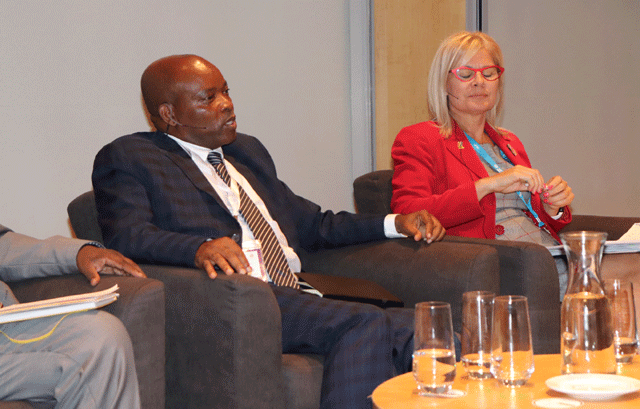 Nxumalo said during an interview that having the minister at the World Travel Market (WTM) was a good sign of commitment on the side of government. She said this was the first time a minister had attended the event, adding that this was motivation to them. “The presence of the minister shows the political will of government and it also makes things easy, especially when it comes to decision making because he knows the issues first-hand. It was easy to take decisions and sign deals where needed. “Another plus to the whole trip was the active involvement and participation from the industry which I believe made good business contacts that will bring the country more tourists,” she said. Nxumalo stated that the challenge now was to develop a unique selling point that would make the country stand out from the rest. “When coming to such shows we need to be prepared and convince visitors to come to Eswatini. We will go back to the table and come up with the perfect marketing strategy so we can meet our objectives. As for the tourism expo, we are already on it and hoping to host our first trade show next year. The CEO also commended her team for setting up an amazing stand which she said was a drawcard on its own. She said all the exhibitors had beautiful stands, noting that even the local one stood out and represented the country well.